Vaccines provide puppies with protection from a host of diseases. They help ensure a puppy will develop into a healthy adult canine. However, there are different types of vaccines, and some are more important than others. For new owners, identifying those that are necessary from those that are not – “core” and “non-core,” respectively – is difficult. Core vaccines are usually given to all puppies. 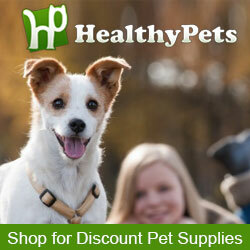 They address diseases that are common and detrimental to the animal’s health. Non-core shots are given based on some criteria, including a puppy’s health and breed, and the level to which it will be exposed to the disease. This will become clearer below. In this article, we’ll explain why puppies need vaccinations for protection, and present the schedule of shots recommended by veterinarians. You’ll also learn why vaccines do not guarantee your pet will remain healthy. When a pup is born, he nurses from his mother. Her milk is a rich source of antibodies known as colostrum. Because the puppy’s immune system is not fully developed, he needs colostrum as compensatory protection from disease. The antibodies contained in his mother’s milk essentially immunizes him. Without them, he would be vulnerable to nearly every infectious organism he was exposed to. In cases where a puppy is deprived of his mother’s milk and lacks other options, he is likely to succumb to disease, and possibly die. The protection colostrum provides only temporary. At some point, typically between fifteen and twenty weeks, the immunity it gives puppies wears off. The purpose of vaccines is to provide the pup with continued protection as the effects of his mother’s colostrum decline. Vaccinations are scheduled to complement the level of antibodies left in the puppy’s body. The first set of shots is usually given between the fifth and eight weeks, though this can vary by a canine. Much depends on whether the animal still has a high level of antibodies in his body for a particular disease. The first vaccine is usually for parvovirus (or, simply parvo). Then, approximately a week later, a combination pack is given that covers distemper, parvo, hepatitis, and sometimes, coronavirus. Another vaccination is administered around week twelve for rabies. This is followed a few weeks later with a combo pack designed to protect against Lyme disease, coronavirus, and Weil’s disease (called leptospirosis). By the eighteenth week, most puppies will have received all of their core vaccinations as well as a few non-core vaccines depending on their susceptibility to certain organisms. In the past, adult canines received annual booster shots for continued protection against common viruses and infections. A combo pack was given for parvovirus, distemper, and other illnesses. Today, the American Animal Hospital Association (AAHA) recommends that adult dogs receive boosters every three years. If a canine is especially susceptible to a particular organism, the appropriate vaccine can still be given annually. It’s important to underscore that vaccinations do not preclude a puppy or adult canine from getting a disease. An organism can still manage to gain a foothold in the pup’s body. This can occur if a vaccine was formulated incorrectly, and is thus less effective in providing protection. It can also happen if the puppy’s immune system was poorly developed when he received the vaccine. If this was the case, his body’s autoimmune response to an organism might be insufficient. Because this can lead to severe illness, veterinarians take great care to ensure a pup receives the protection he needs. Some people are opposed to vaccinating dogs since doing so seems unnatural. Their position is that a canine should be able to survive on its own once the effects of his mother’s colostrum wear off. But it’s worth noting that many of today’s canine diseases pose a greater danger to the health of a domesticated puppy than they do to pups in the wild. I was so confused about what to buy, but this makes it unablstdndaere.